I am sure that most of you have cotton swabs in your house, we all do. Like many of us, you may use them for the one thing on the box it says not to use them for, am I right? Well did you know there are many different ways that cotton swabs can be used, other then to clean your ears? 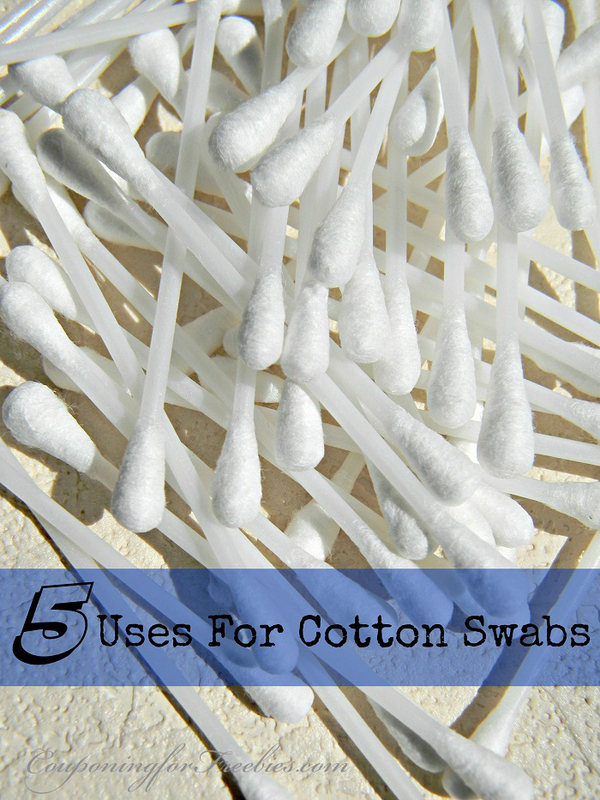 Check out my list of 5 uses for cotton swabs. Cotton swabs are a great way to apply first aid cream or salve to an injury. It helps you from adding unwanted dirt and bacteria to the wound. Just be sure not to use it on super deep cuts as it sometimes can leave behind small bits of cotton. Those are ok for surface wounds but you would not want to leave behind cotton under the skin. If you are someone that likes to do their nails, cotton swabs come in handy! They are great for getting nail polish out of the crack of the nails. Simply dip the swab in polish remover and then rub the nail. If you have kids that like to paint with water colors or any paint really, cotton swabs make great brushes. They are so cheap they could use one for each color if you are working with paint that you do not want mixed. Then you do not have to worry about cleaning when done, simply toss them in the trash and you are good to go! I don’t know about you but my eye makeup brushes always fall apart before I run out of makeup. If this happens to you, no need to hurry out to the store to buy over priced brushes, simply use a cotton swab! They really work just as well as the makeup brush. If it is cold season or just want to avoid spreading germs, do not put your lip balm tube on your lips. Dip one end of one of the cotton swabs in the lip balm. Then apply to lips using the cotton swab. Simply toss the swab in trash when done. This also works with lipstick. While there are many other ways to use them, those are my top five uses that you can use cotton swabs on. Do you have any other uses that you use them for, that we have not covered here? If so feel free to leave a comment we would love to hear them. You may also want to check out my post on Uncommon Uses for Tin Foil.